Are you ready to experience DC Ghosts, DC's newest Ghost Tour? Our historical hauntings offer perspective on the real events behind the ghosts and hauntings witnessed in The Capitol. We focus on authenticity in order to explain the strange and unique stories found only in DC. We welcome you to take a historic look at the haunted past of DC where our knowledgeable guides will take you on an adventure to 8 locations in DC. Our groups are kept small, at no more than 20 guests, in order to keep the experience the best it can be. 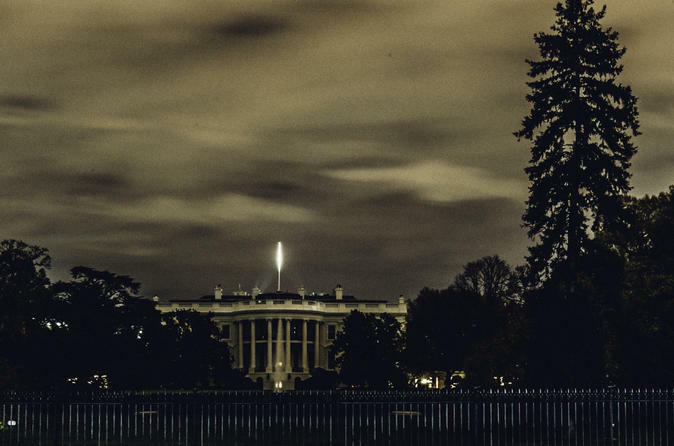 With your experienced DC Ghosts guide, you will go to 8 locations around Lafayette Park, including the White House! You will learn of the grim tales of this country's beginnings, and the ghosts that linger as a result. Such ghosts include Dolley Madison, Abe Lincoln, Abigail Adams, and others well-known historical figures! This walking tour is only 0.7 miles, and brings you back to where you started! For convenience and to ensure guest safety, our tour is designed so that street crossings are minimal. Tours operate rain or shine so be sure to dress appropriately for your adventure.